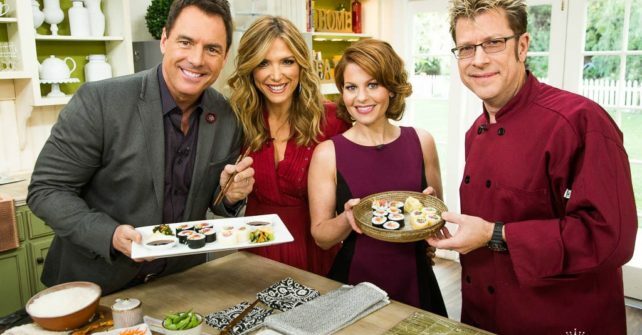 This segment was hosted by Mark Steines and Debbie Matenopoulos. Scroll down for the full recipes! Put the rice in a heavy bottomed small sized pot and add the water. Wipe the kelp with a damp cloth. Score the kelp if necessary. Place the kelp in the pot, cover the pot and bring it to just below a boil. Remove the kelp and recover the pot. Boil the rice for about 2 minutes, then lower the heat to medium and continue to boil for 5 minutes. Reduce the heat to the barest simmer and let the rice cook for about 10-15 minutes or until all the water has been absorbed. Turn off the heat and let the pot stand on the burner for about 10-15 minutes. While the rice is cooking and resting, prepare the dressing by mixing the rice vinegar, sugar and salt in a small pot and dissolving it over low heat. Transfer the dressing to an ice bath to cool it quickly. Toss the rice as per demonstration. Gradually add enough dressing to flavor it, but not enough to turn the rice mushy. Keep the cooled rice in a container to fit, covered with a damp cloth. In a small bowl, mix the rice vinegar and water. This is a “hand vinegar,” used to keep your finger moist while shaping the rice. Slice the fish as per demonstration. Shape the rice per demonstration. Place a small dab of wasabi on the rice and lay the fish on top. Serve with pickled ginger, wasabi and soy sauce mixed with mirin (4 parts soy sauce to 1 part mirin). 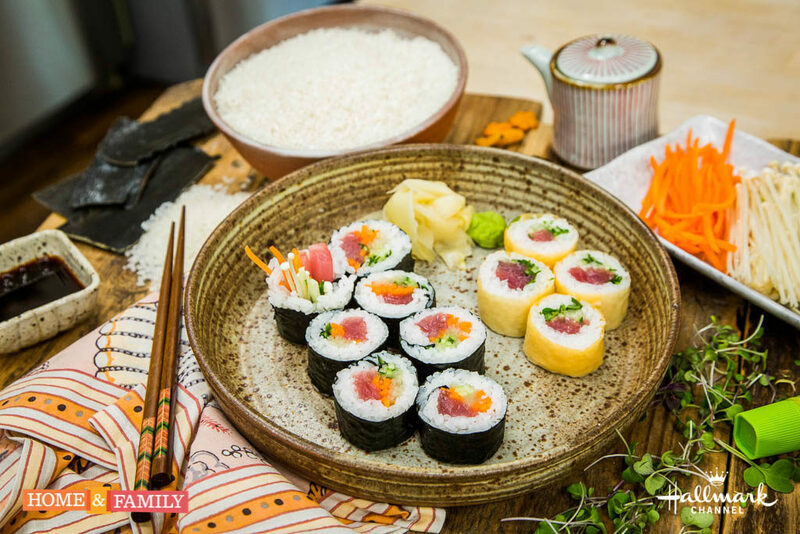 Using the Nori sheet, rice and cucumber, make a nori-roll as per demonstration. Most of the Sushi rolling mat that are available with a variety of two choices. One has wide flat slats and the other has small round bamboo sticks about the diameter of a toothpick. The main two ingredients of sushi are ginger and wasabi, both of which are very good antioxidants. These helps in neutralizing the free radicals and this prevents in converting healthy cells to cancerous.